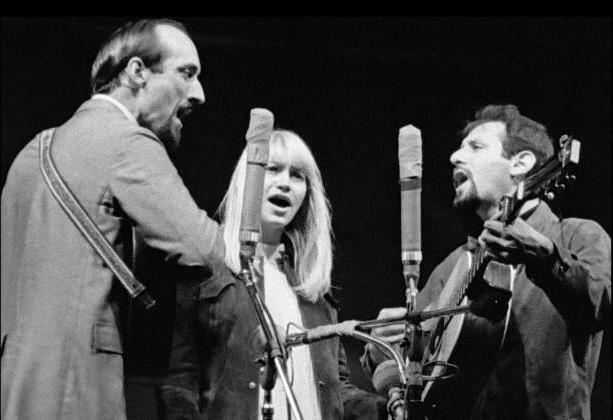 Footage of singing group �Peter, Paul and Mary� performing at the Newport Folk Festival in 1963-65. A memory of pleasant times of the early years of folk and rock when people rode around in their T-Birds and had fun. Joe Lauro and Shout! Factory founder Richard Foos, in cooperation with Peter Yarrow and Director Jim Brown have completed the first film utilising the amazing 1963-66 Newport Folk Festival library which Historic Films and Shout! Factory acquired from filmmaker Murray Lerner in 2017. This video is part of the festive offerings from Historic Films and is airing on PBS throughout the holiday season. Reelin' In The Years Productions has found in its unique music archive some 1950s home movie footage of the country music stars backstage drinking coke. A pair of elephants was pulled out of a muddy mire in Sakleshpur, India by local volunteers after a 48 hour struggle to rescue the adult female and her calf. Both elephants were taken to an elephant sanctuary to recover. The whole of the film industry is sad to hear that the great English film director Nicolas Roeg has died. Bridgeman Images has a wealth of material about the man and his films, including exclusive images. Stunning video footage filmed from the International Space Station shows the moment a rocket blasts off from Earth. New satellite footage released by ITV showing the devastation wreaked by wildfires in northern California has been broadcast. Conservationists have released footage and photographs of the world�s rarest rhino, which counts fewer than 70 members among its population and is confined to a single national park in Indonesia. Peter Jackson, best known for directing The Lord of the Rings trilogy, has created a new film using original footage from Imperial War Museums� extensive archive, much of it previously unseen, alongside BBC and IWM interviews with servicemen who fought in the conflict. StormStock founder Martin Lisius continues to push the envelope of innovation by producing and offering 16K content. The crowd-funded documentary Magic Medicine used historical footage of 1960s and 1970s anti-war protestors to contextualise the background to hallucinogenic research. Unique in their scope and focus, the FOCAL International Awards celebrate and championing the influence and role of archives and footage in the creative industries today. 2019 marks the 16th year of the competition and FOCAL International now welcomes submissions for 2018 productions. The extreme weather and tornado specialist brings us a view of a wind farm and severe storm at sunset in Iowa, the centre of the US and an area that experiences frequent bouts of unusual weather events. The Canadian national collection is commemorating the end of World War One with films, images and footage from this terrible conflict, now 100 years ago, view them online at their site. Famous Hollywood director William Wyler made a film in 1943 called The Memphis Belle, about the last mission of a bomber. All of Wyler�s raw footage from the various missions was recently discovered, preserved in the National Archives and a new film has been made from the material. To prove that English eccentricity is still going strong, Newsflare have posted their coverage of the Gloucester Cheese Rolling Competition � an annual event where people compete to catch a cheese! Fans of science in space now can experience fast-moving footage in even higher definition as NASA and ESA (European Space Agency) deliver the first 8K ultra high definition (UHD) video of astronauts living, working and conducting research from the International Space Station. A brilliant piece of GoPro drone footage through a deserted industrial complex, with a really spooky ambient sound design instead of music, which makes this a superb piece of film-making. During the filming of Fahrenheit 11/9, his documentary about America in the wake of Donald Trump�s election, Michael Moore�s crew inadvertently shot some footage of Cesar Sayoc�the man accused last week of posting pipe bombs to prominent liberal figures like the Obamas and the Clintons. You never know what you will find in your footage. The Reuters news archive is one of the world's greatest historical video collections. The entire archive dates back to 1896, preserving the events that shaped our world through film - all available through Screenocean. Today�s buyers want a range of video from long films to short clips for social media, documentaries, and everything in between. As a provider, you must also appeal to the client who wants a specific slice, immediate download, and purchase online.